Home Pop Culture How To Be Happy At Work? How To Be Happy At Work? A ten point guide to consider as the modern worker addresses work life balance in demanding roles. Image via social media. How To Be Happy At Work? Image via social media. How To Be Happy At Work? A ten point guide to consider as the modern worker addresses work life balance in demanding roles. Google is touted as one of the best companies to work for. Not every other company/employer will give you free food, allow you to work on personal projects during work hours, or even have a children friendly environment where you can bring your kids, but Google will. Google is also known to encourage creative thinking even for the young kids. Google, Fortune Magazine, and Genentech are among the top 100 companies with the best workplaces for their employees. 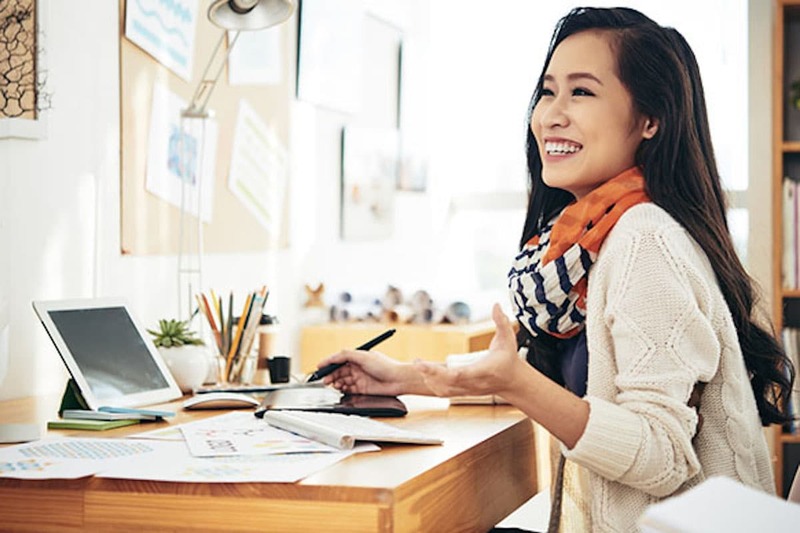 Although the workplace may be what many consider ‘best’, some of the perks are meant to make you spend most of your time at work – this destroys work-life balance. For this reason, even the best companies (such as these) may not be the best/ideal for everyone. The ideal workplace is where you feel the happiest and content. 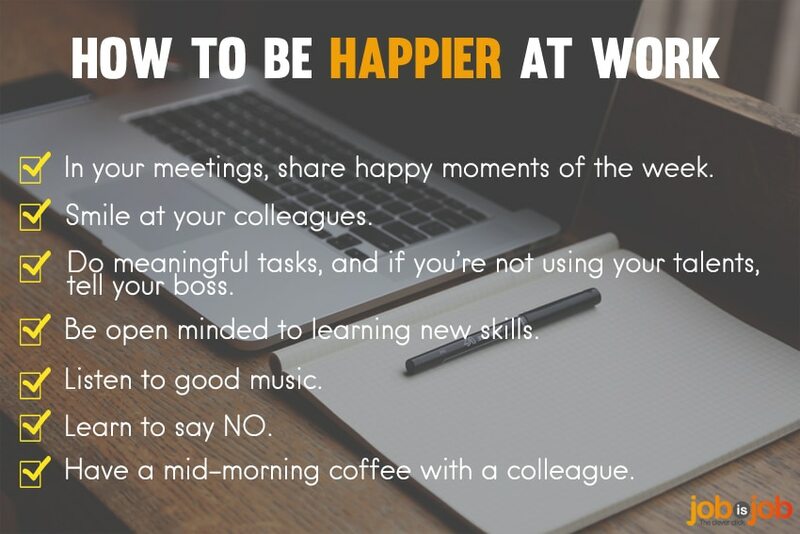 Outlined below are a few tips how to find happiness at work. Although you may be forced to do a few things you aren’t happy about, choosing to be happy yourself is just that, a choice. You could choose to be happy despite having the worst employer in the world. While many will not agree with this, being happy at work may require you to go that extra mile to achieve happiness. This means appreciating whatever little you have. Have a positive attitude towards your work. Only dwell on the aspects that excite you the most while staying away from gossip and negative people/energy. You’ll be surprised how easy it is to find coworkers trying to be happy in the workplace as well. Let your experience define your happiness at work, not what you hear other people say. 2. Engage In The Things You Love. While you may, or may not love your job, finding something you like to do every single day is very possible. Begin by identifying your unique skills, interests, and what you are good at. As much as you dislike your job, you’ll find specific tasks that make you feel more comfortable and thrilling at the same time. Embrace what you have to do every day with positivity to see how it goes. You have a choice to make the current job/position work, or just quit the job altogether. 3. Take Charge Of Your Personal and Professional Development. Many people are of the idea that their employer or bosses are the keys to developing a bright future professionally. Just because someone gave you a job doesn’t mean he/she is responsible for your development in any way (either professionally or personally). What many people do not know is that you get to shape how your future will be. As much as the employer needs to see results, you are your key to growth both personally and professionally. The employer is only there to provide a means how to. Identifying what your goals are in life, and working towards achieving them is the first step to growth. It’s you that’ll grow from working hard, as well as lose as much for not working hard. 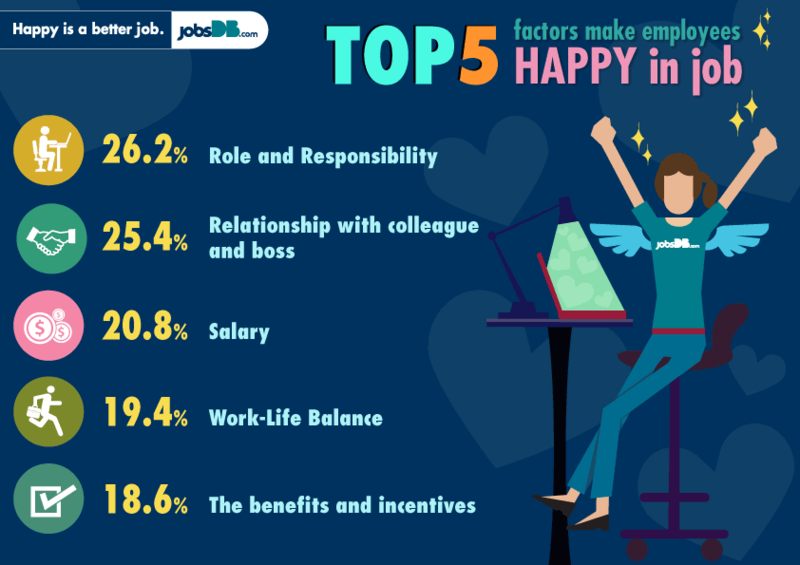 How To Be Happy At Work: Role and responsibility top the list in matters of organizing happiness at one’s place of employment. Many employees are passive vessels in a company. They only wait for orders and communication from their bosses. Most people will complain how they feel neglected or don’t get involved in even the most basic things about the company, such as its progress. One thing you, however, need to know is that such info and knowledge won’t find you seated – you need to set sail towards it. Your boss doesn’t know what you need or are missing. It’s only by making inquiries and requesting for specific bits of information that it can be availed to you. Asking for a meeting with the boss is one way to create an avenue for such information to be conveyed. This is called being responsible in the workplace. 5. Ask For Feedback, Once In A While. As mentioned earlier, most employees are passive vessels in the company. They rarely engage or ask for anything, but only do what is ‘required’ of them. It probably won’t hurt asking for feedback from your seniors, and particularly about your performance on a specific project. You however should be able to gauge how well you did on the same as well. Making an honest and sincere contribution will help you grow, and be content. Although it may seem hard at first, start by asking your boss for feedback on your work. You could also ask customers to rate their experience based on how well you served them. Some of the input may be affirming. If the feedback doesn’t come back as you expected, strive to work hard to perform better. 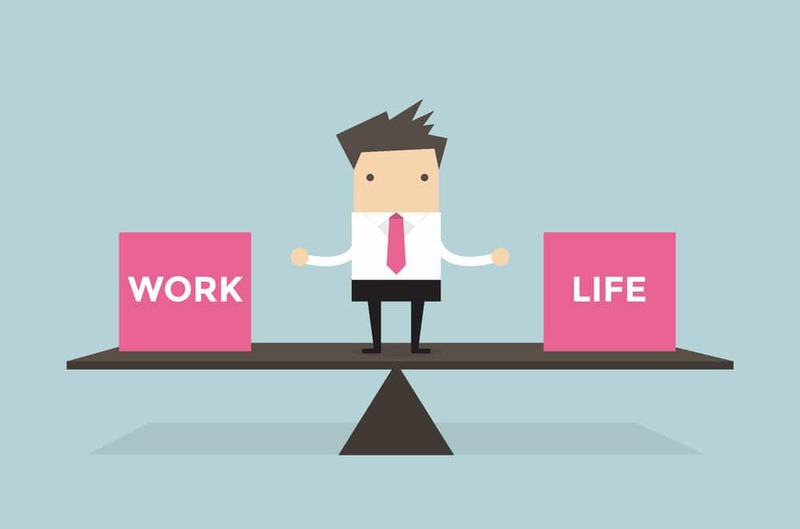 How To Be Happy At Work: Perhaps the best advice might also be is striking a work life balance…. 6. Only Make Commitments You Can Keep. Failure to keep promises/commitments is one of the key contributors to workplace stress and unhappiness. Although you may be unable to honor a commitment once in a while, this shouldn’t be the trend. Making excuses for how and why you failed to deliver will only get you in trouble. Making commitments, you can honor however reduces workplace-related stress, hence a happier you. Proper planning will however be needed to make this happen. You also need to assess your ability to handle tasks efficiently, and how long it takes, should help you know just how much you can handle in a day. If the workload is however too much, you can then request for more resources or help from the boss. Getting yourself swamped with more than you can won’t make you happy. 7. Stay Away from Negativity. Surrounding yourself with positive energy and like-minded people should make work more fun with less stress according to https://claritychi.com/. The same can however not be said about mingling with gossipers, unhappy people, or engaging in negative conversations. Negative energy always has a way of draining any positivity in your life, stay away from it. No one likes conflict – at least most people don’t. Conflict can be hurtful, harmful, scary, or even all the three combined. Unless you have been trained how to participate in meaningful conflict, then chances are you’ll suffer its full wrath. Nevertheless, battle, done well, can help you achieve more than you anticipated. Using conflict to solve problems is however an art that one needs to learn and master over time. Mastering it should help you deal with even the most stubborn customers, clients, and even bosses very well. You’ll however need to make conflict your friend to learn how to handle it. How To Be Happy At Work: Finding positive people at work and connecting with them can go a long way to improving work place psychology. 9. Make A Few Friends. Marcus Buckingham and Curt Coffman have outlined the benefits of having a good friend at work carefully. Most people are motivated to come to work simply to be in the company of their best friends in addition to making a living. Research also shows that having a best friend who is a co-worker makes it easier to manage workplace pressures and stress reasonably well. Create some time to chat and mingle with co-workers and even make a friend or two. Surrounding yourself with persons with positive energy, and people you can call friends creates a network of support, sharing, and resources you need every day. 10. Look For Another Job, If All Else Fails. If all these don’t seem to work, you probably are in the wrong job. Reevaluate your position, employer, and your goals to see where you are headed. You shouldn’t spend the rest of your life working in an unfriendly environment. Don’t quit just yet, start looking for another job. Be careful to look for a job you’ll love doing, not only for the money. 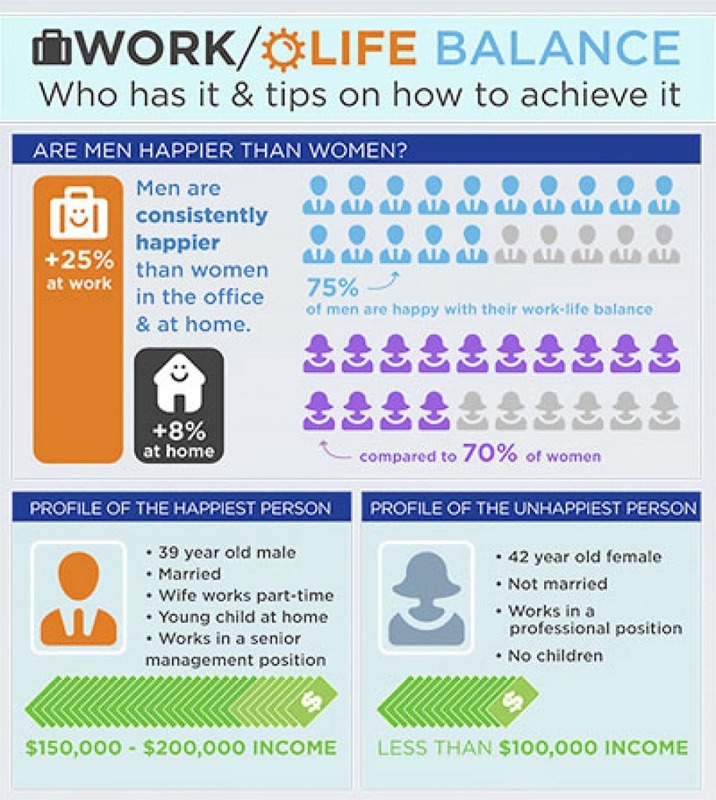 How to be happy at work: a breakdown who is most likely to achieve work happiness….